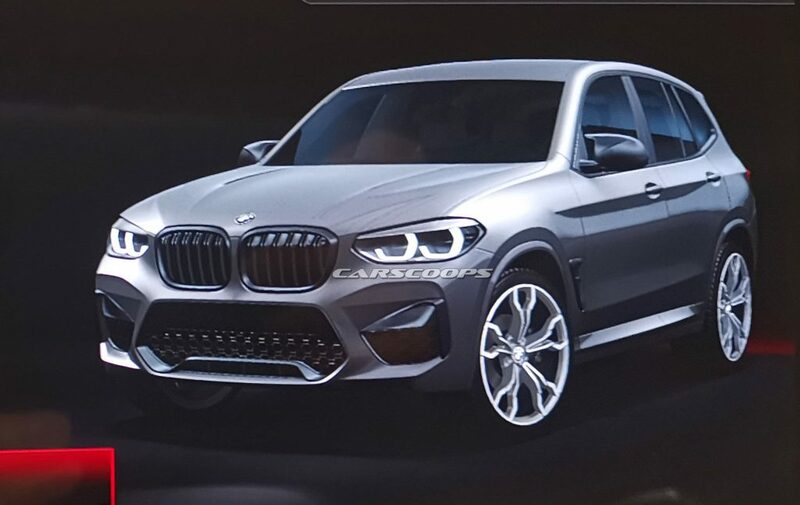 In September last year we saw the first prototypes of the upcoming BMW X3 M and X4 M but now thanks to a slip up we see our first decent look at the front of the hotted up mid-size SUV. 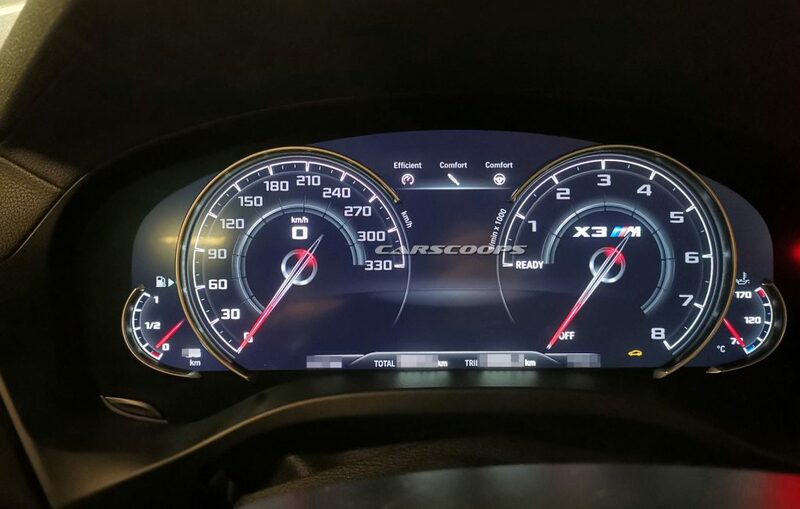 The front end seen above is a shot from the iDrive infotainment system which shows the upcoming production model will have an aggressive front fascia with a black twin kidney grille. Bigger changes occur further below as the high-performance crossover has a front new bumper with large air intakes that feature honeycomb mesh inserts. We can also see a black bar above the central air intake as well as scoops out near the outer edges. As you move further back you see the typical front fender side vents and the prominent side skirts. The aerodynamic mirror caps are present and it is finished off with a new five-spoke alloy wheel design. We are expecting the twin-turbo 3.0-litre inline-six to develop up to 474 hp (353 kW) which will likely be paired to an eight-speed automatic transmission and an M xDrive all-wheel drive system.